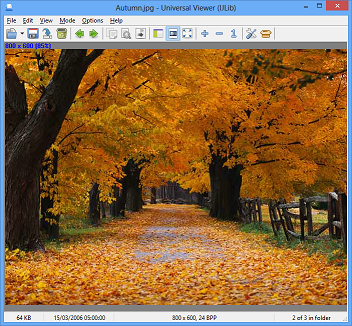 AB Commander comes with a built-in image viewer that lets you quickly see the images on your computer directly, without opening a dedicated image viewing or editing application. 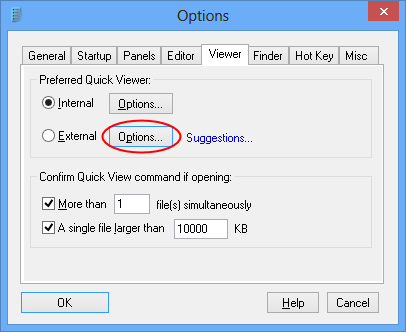 To view an image in such a way, just select its file in AB Commander and press Ctrl+I. 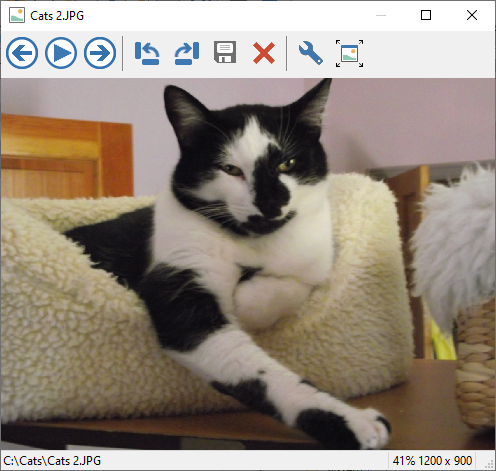 The image viewer of AB Commander can display the most common image files, such as JPG, PNG, GIF, BMP, and TIFF, but what if you want to view files of other types, such as PDFs or DOCs, without opening the regular PDF viewer or Microsoft Word? There are several third party file viewers that can be used to view such files, and you can set up such an application as an external viewer within AB Commander. 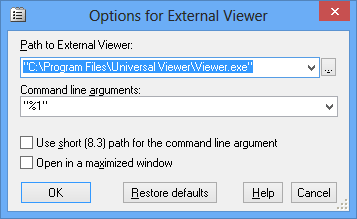 First, you need to download and install Universal Viewer on your computer. If you have chosen to download the free version, pay attention to the optional software it may offer to install in addition to Universal Viewer itself: if you don't want the additional software, decline the offer.